A couple generally does not come to the decision to divorce easily. Following through with it is even more trying as the complexities become overwhelming. Emotions run very high during these difficult times, especially when there are children to consider. Our St. Louis divorce lawyers have made a commitment to guide our clients and their families through the divorce process with the least amount of emotional trauma and turmoil as possible. This is done while holding the interests and future of the family as a top priority. In order for a divorce petition to be heard in a St. Louis court, at least one of the parties named must be a resident of the state of Missouri. For armed services personnel one must be stationed in the state for at least 90 days before the divorce may be filed. The petitioner in a St. Louis divorce proceeding must also cite the grounds for which they are seeking a dissolution of the marriage. The grounds, or reason for the divorce request, will be that the marriage has been irretrievably broken and that there is no reason to believe that it can be preserved any longer. You may have heard of this also being referred to as irreconcilable differences. 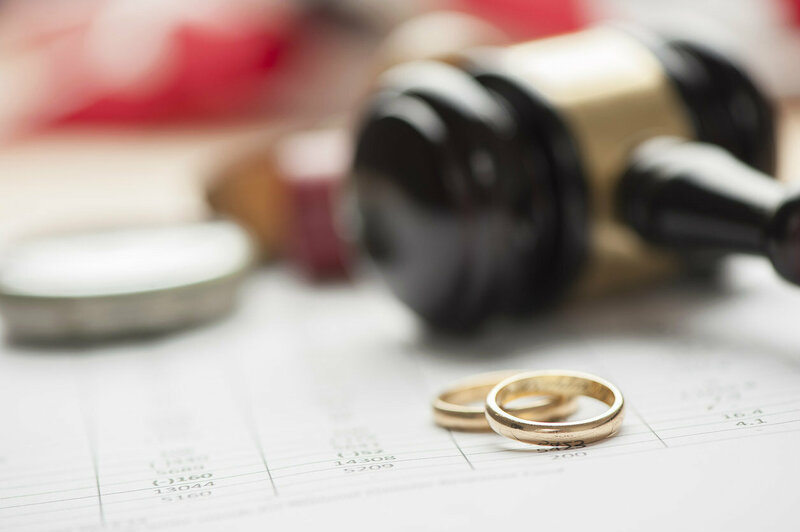 Our team of experienced divorce attorneys and aides assist our clients with these difficult decisions and help them choose the grounds that are most relevant to their case. In the midst of so much emotional upheaval, it can be difficult for the petitioner to face these types of choices. Our team of considerate attorneys will be there to help see you through these rough times. The formal request for a divorce in St. Louis is known as the petition for dissolution of marriage. It is a legal document that simply states that you, the petitioner, would like to terminate your marriage with your spouse, the respondent. 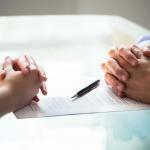 The divorce attorney in charge of your case will ensure that it is filed with the correct court. After the dissolution of marriage paperwork has been filed with the court, they will serve your spouse, the respondent, with a copy of the petition. He or she will be allocated a time frame in which to respond. There are any number of issues that arise during divorce proceedings including custody and support of minor children and division of joint properties. Your divorce attorney will walk you through all of these issues and work to make sure that they are resolved to your satisfaction. Once all of the divorce issues have been worked out the judge will be able to grant the divorce. There is no exact time frame, as every divorce proceeding has it’s own unique set of circumstances. After the judge has agreed to grant the divorce, a legal document will be created by the court known as a Decree of Dissolution of Marriage. This document names both parties and states that they are no longer legally bound by marriage. The pending break-up of parents is particularly hard on the children who are still living at home. Our firm is aware of the delicate nature of proceedings when children are involved and strive to help both parties reach a decision that serves the children’s needs first. In divorce proceedings that involve custodial rights of minor children, the presiding judge will ask to see a parenting plan before granting the petition. 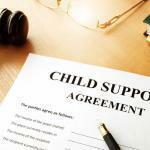 The agreement made by both parties regarding the physical custody, visitation, and financial support should be outlined clearly. Our firm has helped draft many of these plans and can assist you and your spouse with drafting yours. As difficult as these decisions may be, it is in all the parties best interests to come to a reconciliation of these issues on their own. Otherwise, any unresolved issues will be decided by the presiding judge. Ensuring the health and welfare of your children is your priority. Helping you achieve custody goals to do just that is our priority. There are two custody terms that you will be exposed to during your divorce: Physical Custody (Sole or Joint) and Legal Custody (Sole or Joint). Physical Custody is most easily explained as how much time or how many overnights a parent has with their child or children. Whether you call it Sole Physical Custody or Joint Physical Custody, the time you have with your child or children will be controlled by the parenting plan. It is this parenting plan that will determine whether it’s “your weekend” or not, how many overnights per year you have, etc. When one parent has the majority of custody time with a child or children, the characterization of Sole Physical Custody is applied. When the parents each have substantial periods of custody, the term Joint Physical Custody is applied. Legal Custody is essentially the legal authority to make decisions that affect your child or children regarding medical issues and school issues; others too, but these are the big ones. Who will their doctor be, should your child or children get tested for ADD, should they have a particular procedure performed? These are some of the medical related issues for which legal custody gives a parent authority to decide. Where will your child go to school, which classes does your child take in school, should they play football, should your daughter take Advanced Placement courses, what about extracurricular activities? These are some of the school issues for which legal custody gives a parent authority to decide. Sole Legal Custody: If you do not feel your spouse will be able to effectively communicate and jointly make these decisions with you, you may wish to pursue sole legal custody. The other parent would still have the legal right to be informed of these matters, e.g. school grades, doctor visits, etc., but you would be the one with the sole legal authority to decide the issues. 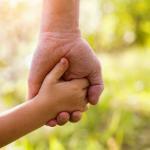 Joint Legal Custody: The Courts favor parents sharing joint legal custody. This would obligate both parents to confer with each other and reach consensus on these issues. In other words, you will have to agree on changes in school or doctors, summer camp, etc.